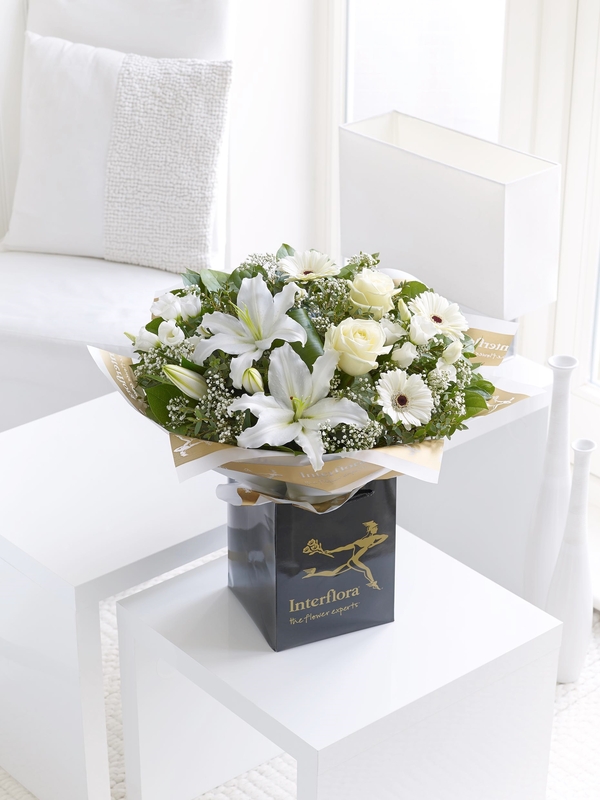 Elegant lilies, exquisite roses and soft, pretty germini combine beautifully in this bouquet. It’s a soft subtle mix of white and green that will make a truly heartfelt gift for someone special. Featuring white germini, white gypsophila, white Oriental lily, white lisianthus and ivory large-headed roses hand-tied with aspidistra leaf, salal and eucalyptus and finished with gift wrap and gold voile ribbon.